En el enlace podrá acceder a los textos completos de tres artículos que forman el dossier Russian Analytical Digest No 211: Thinking about the Revolution: Perspectives on Russia between Stability and Revolution. 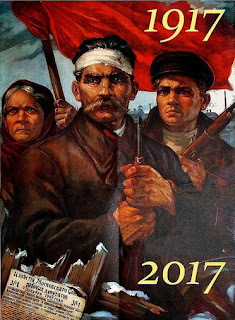 - 1917 in 2017: a ‘Useless’ Past? Remembering and Forgetting the Bolshevik Revolution, de Natasha Kuhrt (King’s College, London). - America’s Failed Russian Revolution: How the Trump Administration Tried, and Failed, to Reset US Thinking About Russia, de Ruth Deyermond (Kings College, London). Estos tres artículos han sido publicados por CSS ETH Zurich el 20 de diciembre de 2017.